More than two decades have passed since the events chronicled in The Butlerian Jihad. The crusade against thinking robots has ground on for years, but the forces led by Serena Butler and Irbis Ginjo have made only slight gains; the human worlds grow weary of war, of the bloody, inconclusive swing from victory to defeat. The fearsome cymeks, led by Agamemnon, hatch new plots to regain their lost power from Omnius, as their numbers dwindle and time begins to run out. The fighters of Ginaz, led by Jool Noret, forge themselves into an elite warrior class, a weapon against the machine-dominated worlds. Aurelius Venport and Norma Cenva are on the verge of the most important discovery in human history: a way to "fold" space and travel instantaneously to any place in the galaxy. 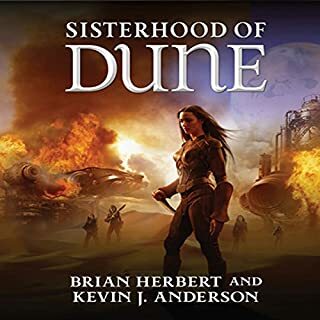 Here is the unrivaled imaginative power that has put Brian Herbert and Kevin Anderson on best seller lists everywhere and earned them the high regard of readers around the globe. 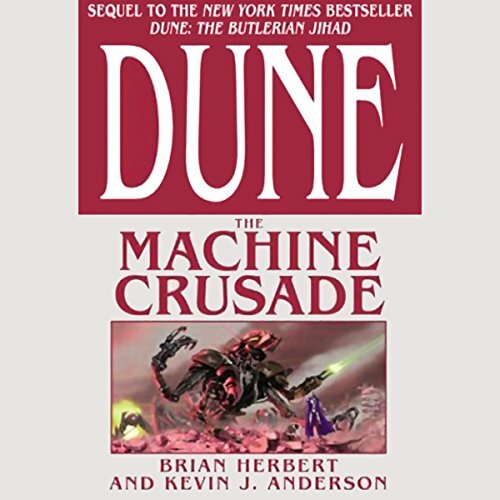 The fantastic saga of Dune continues in Dune: The Machine Crusade. 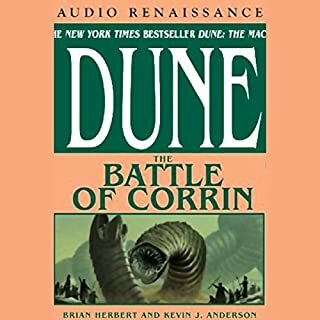 ©2003 Herbert Properties LLC (P)2003 Audio Renaissance, a division of Holtzbrinck Publishers, LLC and Books on Tape, Inc.
Great book. Well narrated. I'm looking forward to. I have already read the series, but it's convenient to be able to listen while taking a walk. 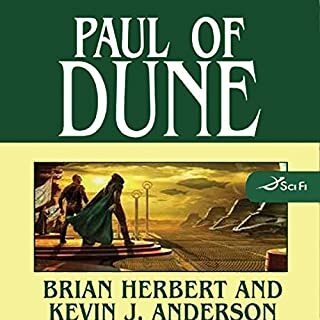 Dune - How We Love Thee! Brian Herbert would make his father proud. 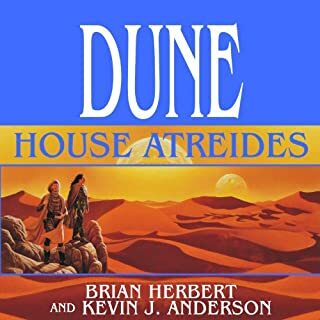 In collaboration with Kevin J. Anderson, he has 'fleshed out' the vast universe centered around the planet Arrakis. 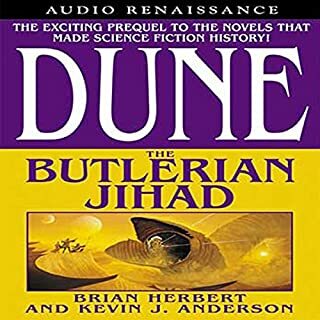 This book, like its predecessor "The Butlerian Jihad", expounds on the events surrounding the war with the Thinking Machines only hinted about in the original novels. With sweeping strokes, the authors take you on a breathtaking journey through the known galaxy. Their characters are 'real' in the sense that you care deeply about their fates - even the obviously 'evil' ones. No small feat, this. 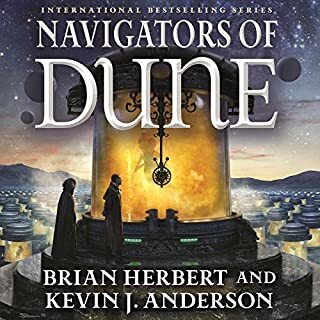 Many large scifi books center around technology and 'gee-whiz" what-ifs without truly giving you characters that you can get emotionally tied to. Strongly framed characters are essential for my suspension of disbelief. 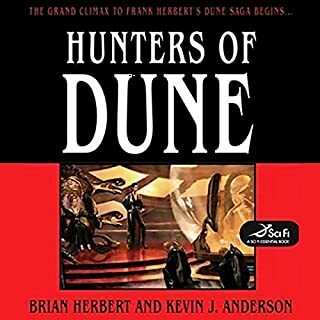 The story takes place some 24 years following the events of the Butlerian Jihad. 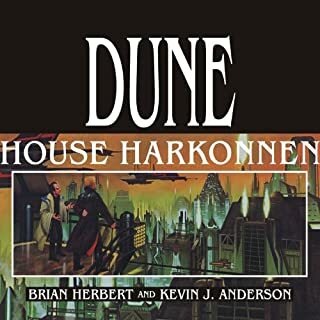 Both Xavier Harkonnen and Vorien Atreides are now "Premeros" of the Army of the Jihad and the best of friends. Serena Butler serves as an almost Deity-like leader who keeps pushing the multitude of free humans into battle after battle with the Thinking Machines. You can start to see the beginnings of the staples of the original story - the CHOAM Company, the Spacing Guild, Spice Distribution, the Fremen, etc. While this installment has a satifactory ending, you are definitely left yearning for more even after 26 or so hours of rapt attention. 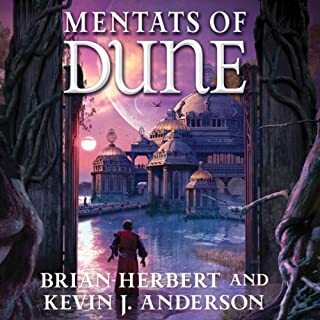 The authors, Brian Herbert and Kevin J. Anderson along with the fantastic narrator, Scott Brick, are deserving of great accolades for such incomparable effort on the behalf of we Dune fans - A Dukedom in the League of Nobles, perhaps? The only thing I can add to this wonderful series of stories is that I want the next one to arrive soon. This was full of so much rich detail and plot twists that I was held in its grasp as the much as any of the synchronized worlds of Omnius. The reader certainly gets his money's worth with this book. The editors of the New Jedi Order could have turned this much material into a dozen books. I enjoyed the Butlerian Jihad, but I found this tome to be depressing and discouraging. It is a given that to enjoy this series one must suspend all knowledge of science and physics and treat the series as fantasy instead of science fiction. Great, Can't wait for the 3rd installation. 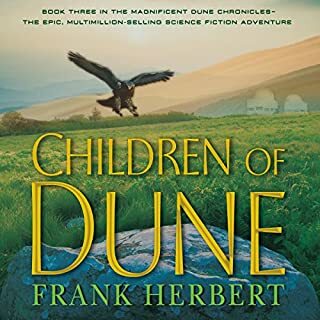 Amazing how the authors introduce twists while maintaining consistency not only with the 1st book but with the original Dune series. I anticipate the third book to see how they tie it all together. Like with all good audio books, the narrator does a great rendition of the various characters. The fight against the machines continues. This continues the story from the Butlerean Jihad. It is not a stand-alone work and should be read in order. 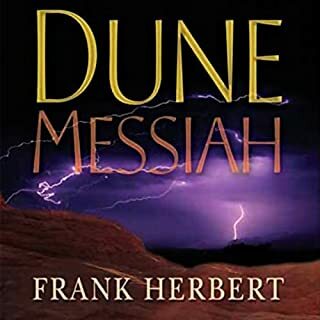 If you are a die hard Dune fan you definitely want to hear this book. 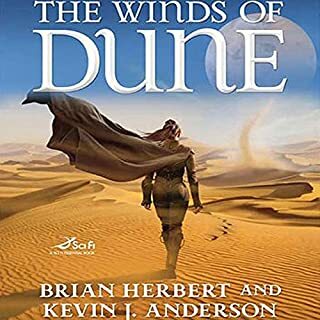 Brian Herbert has some rough efforts early on, but he really gets the epic feel of the Dune series down pat for this one. 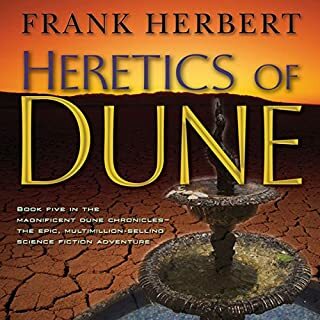 If you are a Dune fan this one should be in your library. Skip this trilogy... for your own sake. 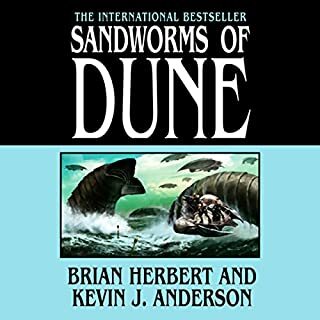 What character would you cut from Dune? This book did not disapoint. I found myself wishing it took longer to drive to a location so I could listen to just another 5 minutes. Very few books lead me wanting to hear more. 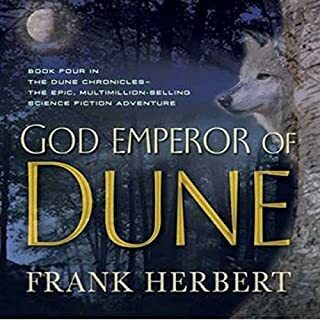 The story moves along and is interesting, but it doesn't have the depth of the original Dune books, especially the first three. The characters seem to have less depth and I find the writing to be a bit trite. 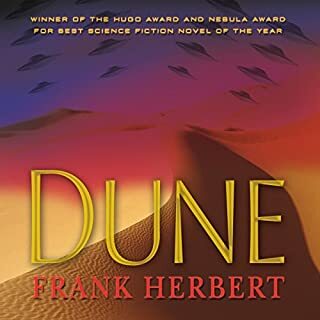 Perhaps it's the style of the authors, but I much prefer the writing in Dune. Wow, the trouble with this book is that it has a ending. This read would be perrfect is it was another 27 hours. Basically I didn't want the story to end. I'm waiting for the next adventure. 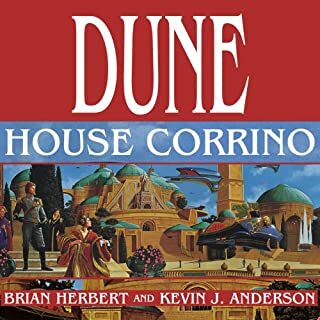 I loved the Dune series when I read it 20 years ago. Scott Brick's reading of this book is fantastic. 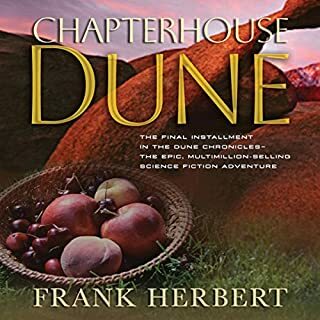 A must read if you love Dune.